Just north of Holetown in beautiful Merlin Bay, Oceans Edge is an aptly named and impressive three-bedroom villa looking straight out to the (very close) Caribbean Sea. Just north of Holetown in beautiful Merlin Bay, Oceans Edge is an aptly named and impressive three-bedroom villa looking straight out to the (very close) Caribbean Sea. 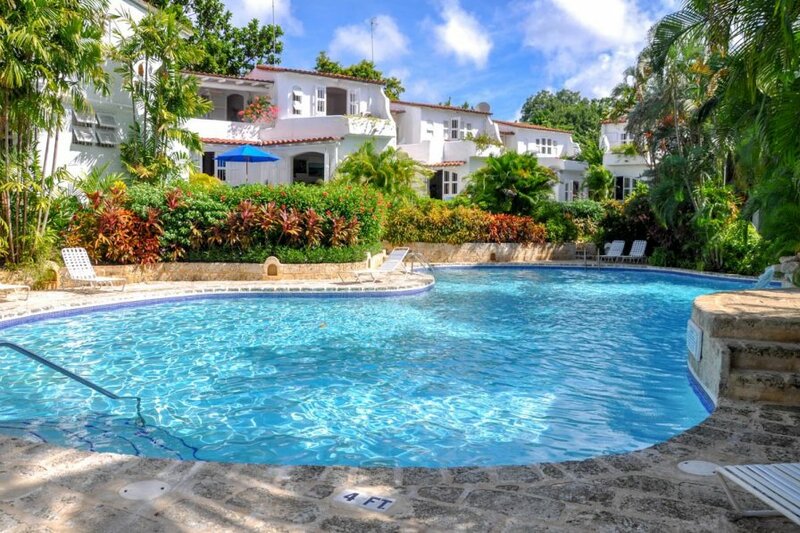 Located in an exclusive area known as ‘The Garden', it's surrounded by beautifully lush and landscaped areas and enjoys the use of the complex's large lagoon-style swimming pool. A wonderful beach-facing deck area provides tables and chairs where you can sit with a drink and admire the incredible location. A barbecue and outdoor dining area, rooftop terrace and a lovely patio with plunge pool provide yet more options, with the tranquil azure ocean never far away. An open-plan, split-level living and dining area, and a well-equipped kitchen, are found on the same floor, with direct access to the patio with plunge pool which overlooks the gardens. There is lots of seating to be found inside, and the villa is equipped with satellite television DVD player and Wi-Fi. The furnishings and fittings are high quality throughout, with natural stone floors and granite worktops among the notable features. One of the three en-suite bedrooms is on this level, while the other two are upstairs. This includes the master with its own terrace and access to the roof terrace. All of the bedrooms can be used with a king-size bed or be converted to twins as required. Merlin Bay is private and peaceful, yet still close to all the local amenities – follow the coastal road south and you'll be in Holetown in around seven minutes. Here you will find a lively town with plenty to see and do. There's a great restaurant scene, with many taking full advantage of their beachfront locations, luxury shopping at the Limegrove mall, and golf courses in the area too. If you're looking for a night out, you've found it in Holetown – chic cocktail bars, cool clubs and open-late eateries dominate on First and Second Street downtown. Oceans Edge is a 3-bedroom villa, sleeping up to 6-guests. With a private plunge pool and the use of a communal swimming pool, guests have the choice to relax in solitude or mingle with fellow jetsetters in a brilliant facility.